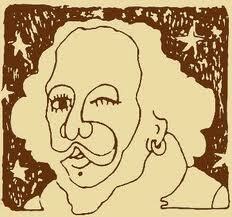 I just finished teaching Twelfth Night to my college freshmen and sophomores. I wanted to find a way to have them connect with the play in a way that might be enjoyable and spark their creativity. What I settled on was music. If there is anything late teens and early twenty-somethings can agree on, it’s that it’s much more fun to listen to music than to, say, figure out why on earth nobody recognizes Viola as Cesario. To that end, I asked teams of 2-3 students to update one or more of the songs in the play AND set them to a modern beat. Fly away, fly away breath; / I am slain by a fair cruel maid. I can feel my spirit drifting away; / A beautiful girl has done me this way. That’s part of the beauty of Shakespeare, is it not? It didn’t take my class long to catch on because Shakespeare consistently speaks to human emotions and situations that are universal and timeless. Other students took the project in different ways. There was a lovely rendition of Feste’s song “Oh Mistress Mine,” from Act 2.3. For this song, the student wrote his own music and took it in a kind of gentle, John Mayer-ish direction. Another group of girls, who professed that they had zero musical talent, found a couple modern recordings of songs in the play and blended them together using a music editing program to create an interesting techno-beat. As always when assigning creative work, I give the class a great deal of freedom. As Olivia says, “Love sought is good, but giv’n unsought is better” (3.1.122). I think the same can be said for creativity. Get out of the way and let it happen.